In celebration of the release of Mattel's Thomas & Friends: Adventures! game for iOS and Android mobile devices, ageekdaddy.com is having a fantastic giveaway for fans of those trains from the Island of Sodor. 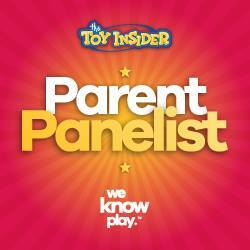 We're giving away a digital code that provides free access to ALL the in-app purchase premium content within the app. Plus in addition to the all content edition of the video game, we're also throwing in a Thomas & Friends wood track toy set to provide some unplugged time fun too for little ones. 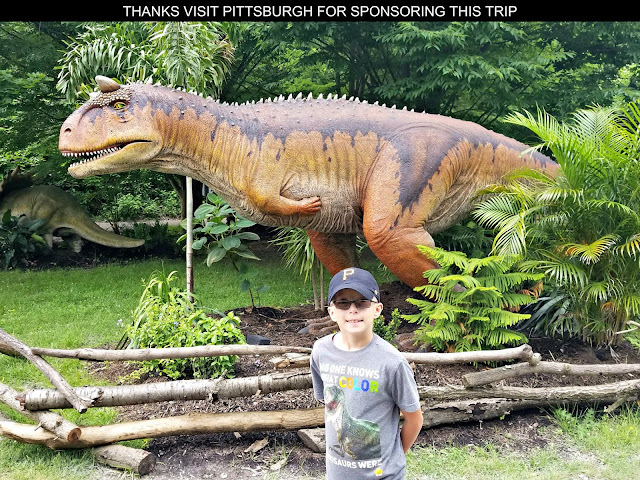 I have wonderful memories of my kids being entertained by Thomas the Tank Engine when they were little and I'm happy to provide some joy to another family with a preschooler at home through this blog giveaway. Thomas & Friends: Adventures! has the #1 tank engine and his friends are being featured in an all-new adventure that has them exploring the world, discovering new cultures and learning different languages. This game has been designed specifically with kids in mind. It is sure to inspire little conductors’ creativity and let their imagination run wild . 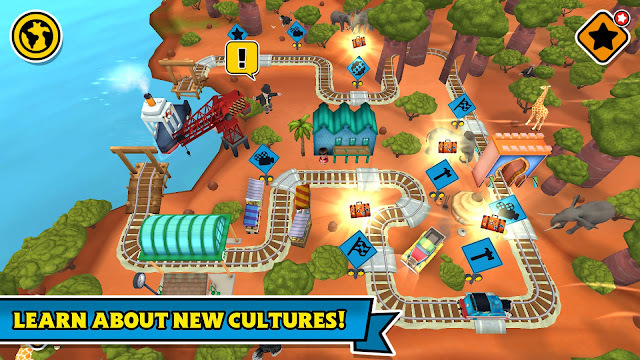 Discover different cultures As you play, explore countries such as China, Australia, Sodor & more! Learn interesting facts about each country that Thomas visits. 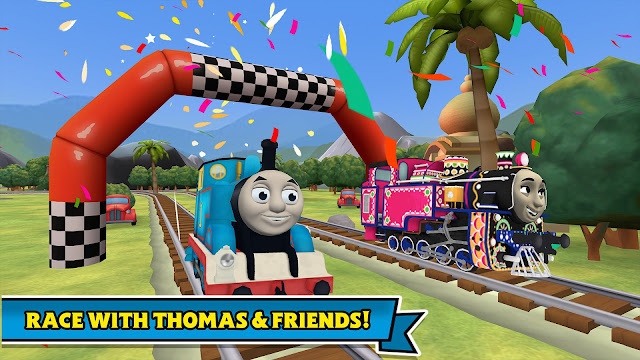 Meet Thomas' friends and race against them Have fun spotting new landmarks as you compete Train your conductor skills and win. 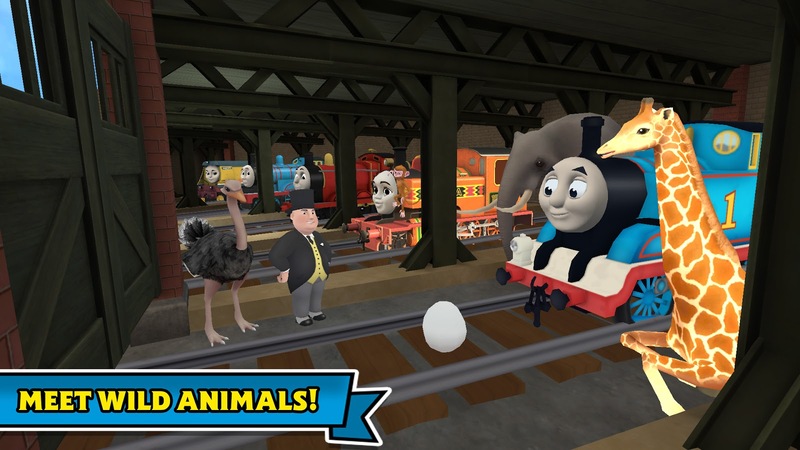 Thomas & Friends: Adventures! 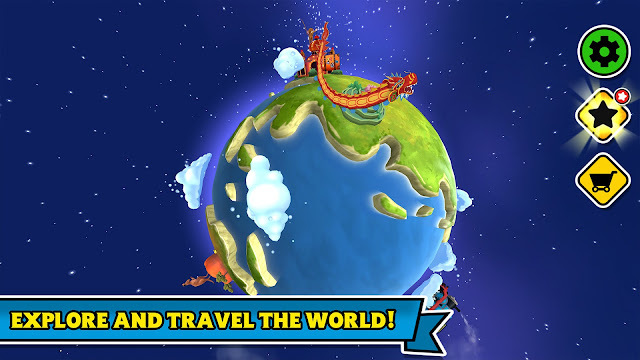 is free to download and play but there are in-app purchases necessary to unlock all the content. That is unless you win our ageekdaddy.com giveaway which open up all of the game's content to our lucky winner for free. You can get this game through Apple's App Store or Google Play. CLICK HERE for more information about downloading this game. In addition to learning about countries and cultures while having fun with Thomas & Friends: Adventures! interacting with animals is a big part of the game. 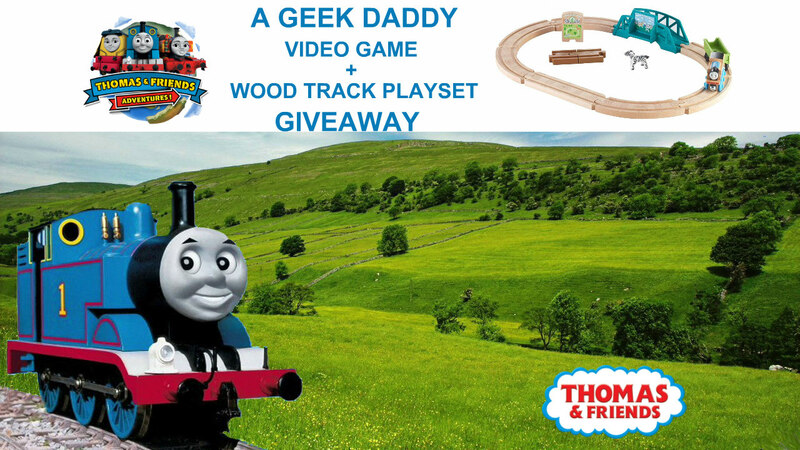 With that in mind and wanting to ensure our lucky winner has a wild time playing with Thomas & Friends, we've also included a wood track playset with an animal park theme to the prize pack. 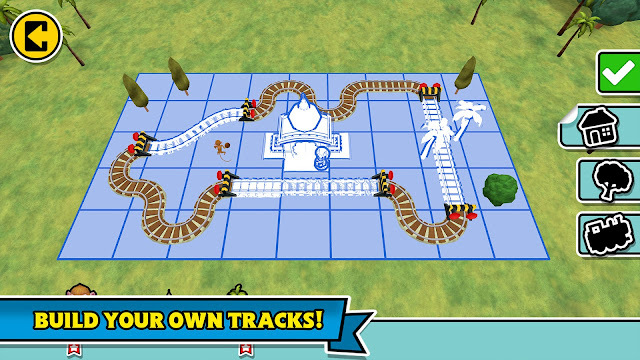 All aboard for Thomas & Friends adventures with this video game and toy playset. Choo-Choo! Circle a toy Thomas the Tank Engine around the Sodor Animal Park with this wood track playset from Fisher-Price. 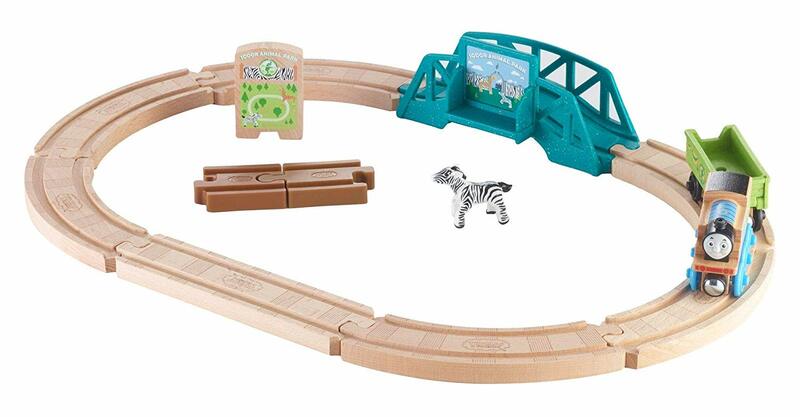 The toy train set includes Thomas, circular track layout, cargo car, poseable zebra animal figure, accessory piece, and two track adaptors to connect this set with other Thomas & Friends tracks from Fisher-Price. So who wants to win this Thomas & Friends: Adventures! Giveaway?! Just complete the entries in the rafflecopter form below before 11:59 pm ET on Wednesday, April 10, 2019. Must be a United States resident over 18 years old to participate. Good luck!